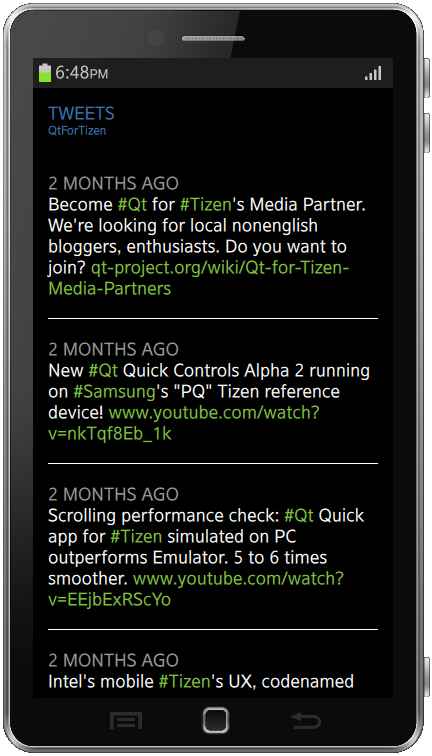 Support for Tizen 2.2-like theming (desktop, emulator and RD-PQ smartphone). 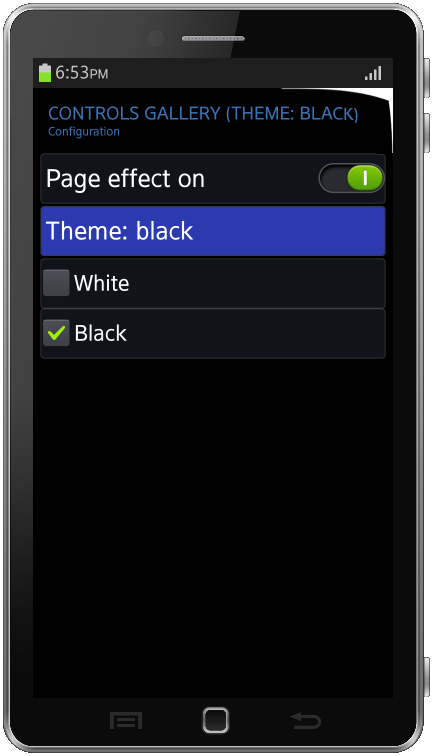 Black and white theme is now implemented and black is the default as on Tizen 2.2 OSP. It is possible to dynamically change current theme at run-time. Advancements in Qt Quick Controls for Tizen. 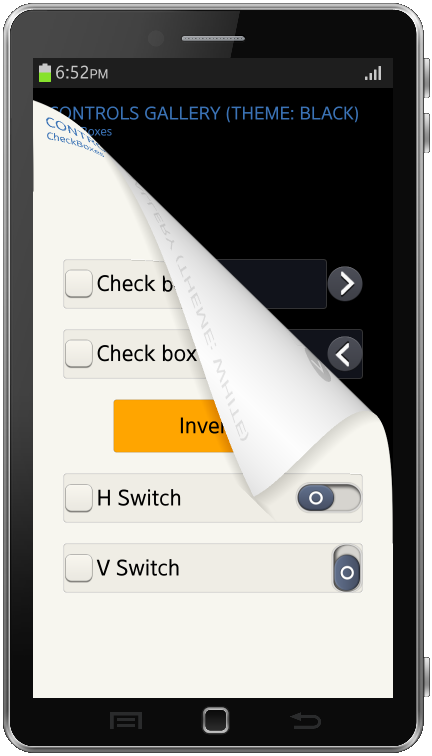 Central place (singletons) has been added for common Tizen configuration that specifies fonts and color palette. Background is now specified by theme. When running on desktop, hardware buttons can be emulated by pressing Esc and F2 keys. 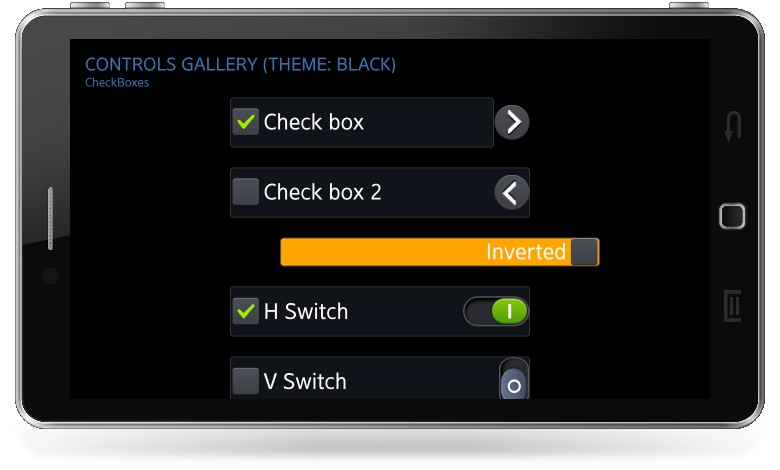 Controls Gallery app. This version adds support for changing themes. OpenGL ES 2 Shaders technology nicely integrated with Qt has been used for custom animation when theme changes. As always all examples have been published with full source code (qt-tizen-1.0-alpha3.tar.gz below) for use in your applications and for learning. 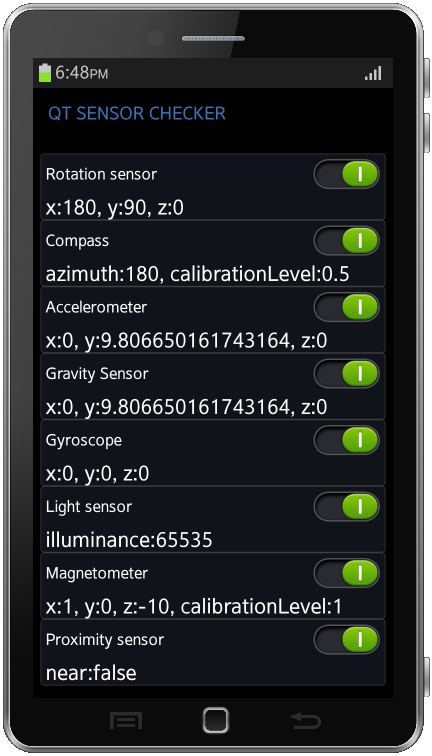 Added sensors handling (for emulator and RD-PQ smartphone): rotation, compass, accelerometer, gravity, proximity and light sensor, gyroscope, and magnetometer. Improved handling of application lifecycle. Clicking the Home button sends active application to the background. When the same app is started again, it shows in previous state. Qt Framework and Integration for Tizen and Qt Tizen Integration: qt-tizen-1.0-alpha3.tar.gz, 17 KiB. It only contains build tools, the Qt source code is based on 5.2 alpha and will be fetched automatically from repositories by the scripts. See the desktop/README document for desktop build, and emulator/README for emulator build. The same is in gitorious alpha3 branch of tizenbuildtools. 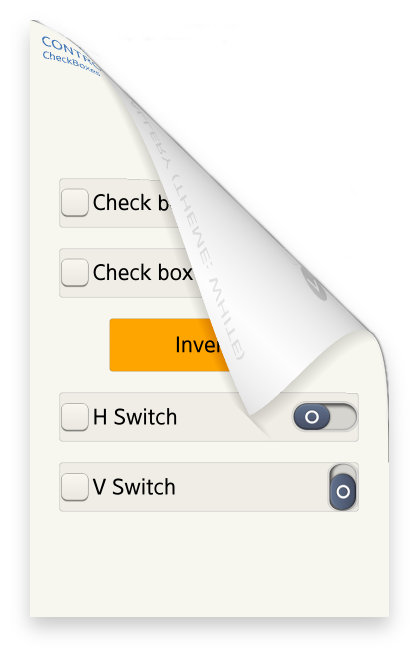 Qt Controls app: QtControls-1.0.0-arm.tpk for RD-PQ smartphone (12 MiB), QtControls-1.0.0-i386.tpk for emulator (13 MiB). Tizen 2.2 required. Qt Sensors app: QtSensorsC-1.0.0-arm.tpk for RD-PQ smartphone (12 MiB), QtSensorsC-1.0.0-i386.tpk for emulator (13 MiB). Tizen 2.2 required. Further integration between Qt and Tizen specifics and services is in the plans. Qt SDK for Tizen for many Linux distributions and support for Mac OS X and Windows would be added later. Our roadmap is developed in the open. Software development for this release has been contributed by Tomasz Olszak, Witold Wysota and Jarosław Staniek. Valuable advices, testing and improvements were offered by Leon Anavi, J-P Nurmi, Jens Bache-Wiig, Rangel Ivanov and numerous other Qt Project contributors. Recently joined Sebastian Sauer and Friedemann Kleint. All contributors are listed on the wiki page.